One of the exceptional ingredients of the chemistry program at Truman State University is the bond between students and faculty. As an undergraduate, you can develop close research-oriented relationships working side-by-side with compelling professors. 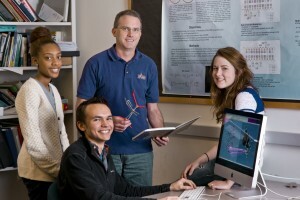 Faculty-student research opportunities exist in many areas including environmental chemistry, X-ray crystallography, surface chemistry, medicinal chemistry, and computer modeling. When it comes to research at Truman, there are projects available for nearly every interest. Through research, you develop new relationships with faculty, increase your confidence in the laboratory, gain hands-on experience, and hone your problem-solving skills. You can also publish your results in the scientific literature and present your results at regional and national meetings. And with successful advanced level research experience at Truman, you may be considered for an Outstanding Chemical Researcher Award. Research also helps you prepare for graduate or professional school as well as employment in the industry. Give yourself an advantage by participating in research at Truman State University. Truman is a supportive and personal community. 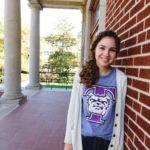 At Truman, you can count on the fact that your professors will know your name, say “hi” to you on campus, ask about life, and go out of their way to help with everything from research to internships to studying abroad.